These are the times of 33s, and the rebirth of Pan. On August 1, 2015, the so-called Chorro Fire started just after 1:00 p.m. in the area of California Highway 33 and the Chorro Grande Trail, the fire department said. Highway 33 was closed at Lockwood Valley Road on the north end of the fire and at the Wheeler Gorge Visitor Center on the south end. More than 300 firefighters (was it 333?) and 11 air tankers were brought in to extinguish the fire. A cargo ship missing since Thursday, October 1, 2015, with 33 crewmen aboard was lost at sea and believed to have sunk in the swirl and stranglehold of Hurricane Joaquin. This almost appears to be a plot for another Bermuda Triangle story. Now debris has started to be found. The ship is named El Faro. The common translation for this name from the Spanish to English would be "the lighthouse." But there are many alternatives: anchor - beacon headlamp - headlight - light -lighthouse - torch - torchbearer - lodestar - polestar - headlight housing - and - lightship. Jim Brandon also reminds me, "Meanwhile, back on land, Charleston, SC, is battered by the 'thousand-year storm,' striking this historic – and uber Masonic – spot on 33 degrees latitude. Recall that Fort also took note of many fateful events hitting the area." Brandon, probably unknown to him, has inspired many people, including a group of Fortean investigators who are making videos, and using his two books as bibles. In "Top Ten American Bridgewater Triangles," I introduced you to the gentlemen (Bill, Ryan, Kyle, Marc) of Mandate33, who filmed a short indie documentary on "The Ossipee Triangle, New Hampshire." It is #10 on that randomly numbered list. 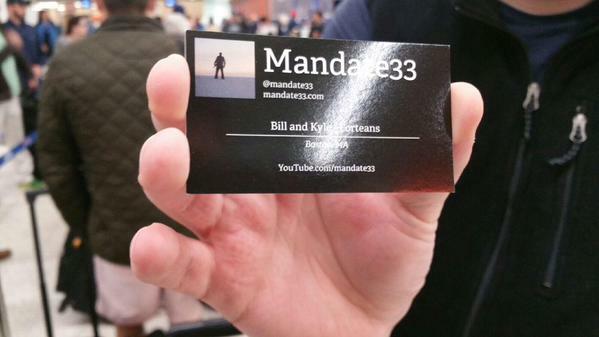 Mandate33 has since started a journey of discovery, and they are in the midst of filming interviews across the country. They began with me, in Portland, Maine, before they ventured to California, and may, in part, end with me. But who knows? That's what being on a quest is all about. They are using the working raw title, Weird War: Exploring America's Left Coast. 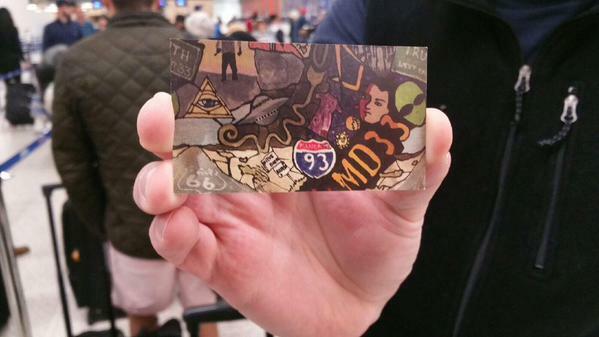 Mandate33 also stopped by and interviewed my Fortean friends, Adam Gorightly and Greg Bishop. Will Chris Tian, Patrick Huyghe, Adam Parfrey, Matthew Bell, Jim Brandon, and various synchromystics be hunted down too? It seems as the times of the rebirth of Pan are upon us. Even the movie Pan is to be released in the USA, on October 9, 2015. 9 = 3 x 3. The Mandate33 filmmakers took their name from Brandon's work. His legacy lives on and grows. Jim Brandon penned his thoughts in his 1983 book, The Rebirth of Pan: Hidden Faces of the American Earth Spirit that, indeed, there are "certain numbers entangled with certain phenomena," just as he talked of power names. Of course, Brandon's special moniker "candidate is the name Fayette and its variants Lafayette and Fayetteville." 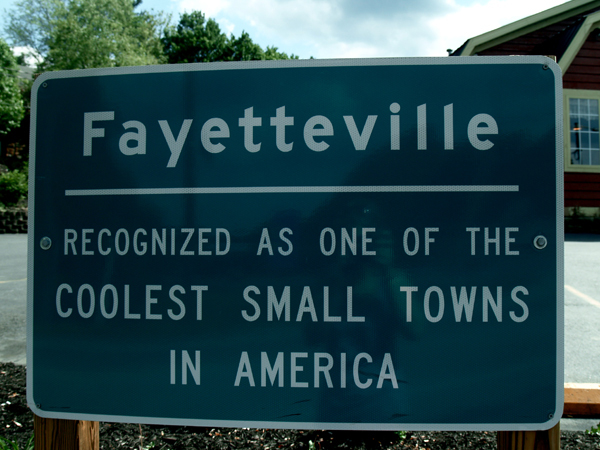 The Fayette Factor is probably one of the strangest mysteries in American Forteana, first discovered by the author, back in 1977, and written about in "Fateful Fayette," Fortean Times, No. 25, Spring 1978. Namely, the "Fayette Factor" has been the finding of a surprisingly high incidence of Fortean (inexpliable) events linked to places named after one of the USA's Founding Fathers--the Marquis de Lafayette. Since Grimstad's discovery, several items on this lexilink between Fayette (as well as its related forms - Lafayette, La Fayette, Fayetteville, Lafayetteville) and high strangeness have been published. In his book, Weird America (New York: EP Dutton, 1978), Grimstad mentions several Fayette hot spots but did not dwell on them. In exchanges with Bill, a small group of Forteans discussed the Fayette Factor privately throughout the late 1970s. It was not until Brandon's (now extremely rare) The Rebirth of Pan: Hidden Faces of the American Earth Spirit (Firebird Press, 1983) and Mysterious America (Boston: Faber and Faber, 1983) that more in-depth analyses of the Fayette "coincidences" seriously occurred. These examinations were followed by updates and other comments in Mysterious America (NY: Simon and Schuster, 2006), and Mothman and Other Curious Encounters (NY: Paraview, 2002). Furthermore, the appearance of widely available material on the Fayette Factor started routinely being posted online during the 1990s-2010s. Popular cultural outlets, such as Robert Anton Wilson's works (e.g. Cosmic Trigger), the music of Marilyn Manson (e.g. King Kill 33), and the various books and movies about the numbers 23 and 33, have Downard's insights influencing a broader audience. My own books, including The Copycat Effect, show the readers various purple shades of Downard. Developing from this, then, is that severals writers have the sense they "discovered" the significance of certain names or dates or numbers, which relate to such factoids as Dealey Plaza being near the 33° north latitude and it being the first Masonic temple in Texas. Remarkably, most of the hints to these revelations track directly back to Downard. Downard showed clearly the linkages between the mystical landscape and the 33° latitude. Intriguingly, the longterm knowledge of the 33° parallel and of 33 as a harmonic digit is on the rise. 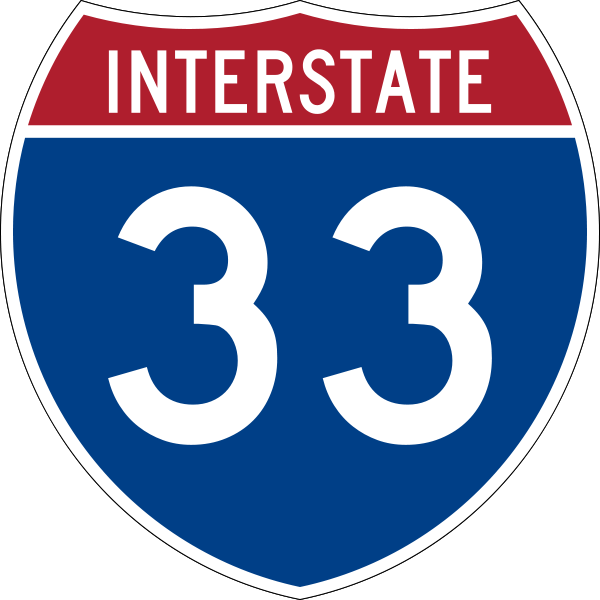 While more people may follow the 23 "coincidences," in the numbers arena there is a decidedly new increase in those would are intrigued by "33." The top new numerical candidate, coming into its own, has to be 33. Thirty-three turns up in some remarkable places. The unnatural nature of the 33° alignments is well-discussed in the synchromystic world. All kinds of associations have been made with the 33rd Parallel: pyramids, death rows, ufo crash sites, Trinity Atomic Bomb test site, the starting site of the Scottish Rite in America, the first shots of the Civil War at Fort Sumter, and various assassination-assassination attempt locations (from Jesus to JFK & RFK, from Captain William Morgan to Gabrielle Giffords). Some of the linkages do have a basis in fact. Take for instance, the name "Hobbs," which is a "devil's name," a word based on a demonic origin. Hobbs had been the location of UFO sightings in the 1950s and 1960s. Hobbs, New Mexico, near the 33 degree latitude, has experienced a never-ending stream of UFO encounters since Bill Watson's April 1955 sighting became known in ufology as the "Hobbs Incident." This Southwest corner of New Mexico is a hotbed of so-called flying saucer activity with the most famous event being the "Roswell Incident." 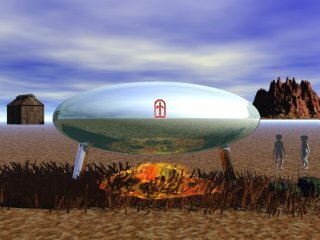 Allegedly, as is well-known today, a UFO crashed in nearby Roswell, New Mexico, on July 8, 1947, and the US Air Force recovered small bodies from the craft, according to numerous ufological researchers. The entire use of the term "little green men" appears to have been added to American slang by way of the incidents taking place in the Hobbs-Roswell area in 1947. Trinity was the code name of the first detonation of a nuclear device. 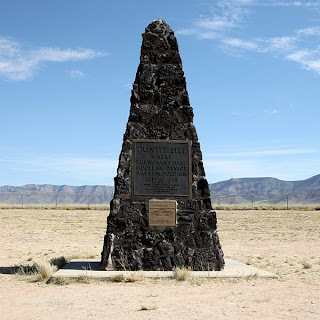 This test was conducted by the United States Army on July 16, 1945, in the Jornada del Muerto ("single day's journey of the dead man") desert about 35 miles southeast of Socorro, New Mexico (site of Lonnie Zamora CEIII 1964 incident - pictured) at the White Sands Proving Ground; Trinity took place on the 33rd Parallel. Considering the background to the name "Hobbs," such events are not too shocking. 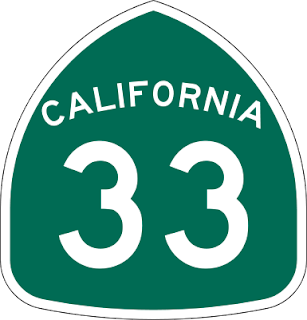 Even, in the past, I've mentioned how Tom Cruise and Scientology appear to have realized the synchromystical magic of the number 33 and the 33° latitude? The twilight language was at play for it was the jersey number of Tom Cruise's character in the 1983 film All The Right Moves. MediaMonarchy.com tweets (via @mediamonarchy) #ThirtyThree / #33 occurrences routinely. The number of deities in the Vedic Religion is 33.The highest degree in the Scottish Rite of Freemasonry. The divine name Elohim appears 33 times in the story of creation in the opening chapters of Genesis. Jesus's age when he was crucified in 33 A.D. According to Al-Ghazali the dwellers of Heaven will exist eternally in a state of being age 33. Jesus performed 33 recorded miracles. Islamic prayer beads are generally arranged in sets of 33, corresponding to the widespread use of this number in dhikr rituals. Such beads may number thirty-three in total or three distinct sets of thirty-three for a total of ninety-nine, corresponding to the names of God. Thirty-three is not only a numerical representation of “the Star of David,” but also the numerical equivalent of AMEN: 1+13+5+14=33. Pope John Paul I, the 33-day pope. One of the shortest reigns in papal history, and it resulted in the most recent 3-pope year. A religious image of the Virgin Mary from the 18th century is known in Uruguay as "Virgen de los Treinta y Tres" (Virgin of the Thirty-Three); it was consecrated by Pope John Paul II in his visit to Uruguay in 1988. There are several churches dedicated to this Marian devotion, being the most important the Cathedral Basilica of Our Lady of the Thirty-Three in Florida, Uruguay. One of the symbols of Ku Klux Klan. (K is the 11th letter of the alphabet, 3 times 11 is 33, KKK). Thirty-three is the atomic number of arsenic. Thirty-three is, according to the Newton scale, the temperature at which water boils. A normal human spine has 33 vertebrae when the bones that form the coccyx are counted individually. The 'G' of Gimel enumerates to 3 and thus relates to Trinity-3 on the 33rd. I don't have an account to comment on your blog but wanted to point this out! I've read your newest entry on the Rebirth of Pan. In relation I thought the following may be of some interest to you ..
Tonight on the television show Gotham, in an arc focusing on the "Rise of the Villains," an episode aired entitled "The Last Laugh." Essentially by episode's end we get an idea that the Joker's legacy is officially born in the fictional Gotham City. where many citizens are shown being driven by him into acts of madness and crime (the copycat effect? ), carrying out a prophecy the 'blind fortune teller' (Jerome's father) warned of earlier in the episode. This is particularly eerie to watch as we find ourselves, the audience, watching an audience unhinged watching this act. A particularly stand out sync to me given The Joker can indeed be found as an archetypal Pan. Like yourself I have commonly recognized a high strangeness of The Dark Knight/Joker making it's way into so many syncs, just couldn't ignore this! Excellent R.E. I was going to point this out myself today in some way. I would only add that in the previous episode, Knock Knock, Jerome himself predicts his evil will spread saying something like, "There's nothing so contagious as laughter" as he slaughters policemen on live television. Also adding to Aferrismoon's comment, Gotham starts with G and means something like "City of Goats," for what it's worth. I guess we can include a relationship between Got[t] = God and Goats as Gods .
" "There's nothing so contagious as laughter" as he slaughters"
There are 7 letters in your name. There are 4 vowels and 3 consonants in your name. Hurricane Joaquin took down the El Faro ship.. the name numerology of "Joaquin" totals to 33. One of these sort of appeared on my kitchen table yesterday (with different phone number) immediately bringing this post to mind. It must have arrived via the bundled flyers that arrive by mail each week. What's significant is that the word PAN is so abnormally prominent (for an advertisement) with the name of the "what" = pizza and "who/where" = Domino's practically afterthoughts. Ska band Justin Binds and the Dominoes did a track called "Satan"
Dominoes Pizza logo, Masonic cube? Hah, I was >>>thisclose<<< to possibly running into one of the guys with Mandate 33 while attending NecronomiCon this August. Sadly, their schedule didn't permit their attendance. Can't wait to see their latest contribution to the fortean community. 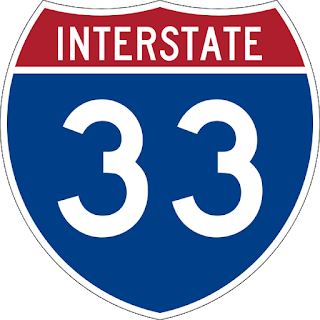 Well I have to share this: My husband and I were coming back from fishing at Kentucky Lake,we live in Central Kentucky and at some point we came to some intersection North 33,with and arrow pointing to left and South 33,with an arrow pointing to the right, so you have 33 33. It caught my attention and I took a picture of it that was on October 23, 2015 at 3:12 p.m.- a lot of 3s. When I came across this article it made me think of it. One afternoon while we were in the boat on the lake with my husband fishing and I was reading a book- Working with Angels,flowing with God in the Supernatural and my husband says look at that cloud, it was behind me, and he says it looks like an Angel or maybe a dove. It did have big angel looking wings. I showed him the book I was reading about angels. I took several pictures of it.